How much of that money they’ll actually see, however, isn’t clear. The owners of the dog were living in a rented apartment at the time of the incident, and they didn’t have renter’s insurance. Typically, renters’ insurance or homeowners’ insurance would cover damages in these cases. In the absence of that type of coverage, the victim can pursue recovery of damages directly from the dog owners. In this case, plaintiff’s attorney said the family will be working with another lawyer to collect as much as possible, which will involve an assessment of defendant’s earnings and assets. Our Fort Myers dog bite injury attorneys know attacks by dogs are a troubling source of injury among children. The U.S. Centers for Disease Control and Prevention (CDC) report that of the 4.5 million dog bites treated at hospital emergency rooms every year, half involve children between the ages of 5 and 9. While strays and other strange dogs do certainly bite, in most cases, children are bitten by a dog they know – either belonging to a friend or even a family pet. Some experts recommend making sure animal lovers choose dogs with, “good temperament,” but this was a Labrador, widely known to be a family-friendly dog. The animal had reportedly never been aggressive toward anyone before or given any indication that he might lash out. In Florida, this fact will not matter in terms of liability. F.S. 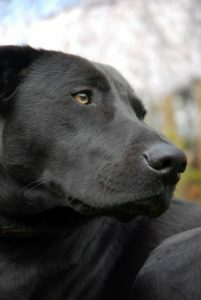 767.04, regarding a dog owner’s liability for damages to persons bitten, the owner of a dog who bites anyone either in a public place or lawfully in a private place is going to be liable for the damages of the person bitten – even if the dog wasn’t known to be vicious before the attack. The statute does say that if there is negligence on the part of the injured person, that may be taken into account when it comes time to ascertain damages. However, that provision doesn’t apply when victims are 6 are younger, as the state expects dog owners to exercise appropriate precaution when their animal is around children. Of all the homeowners’ insurance claims paid out every year, $570 million – or about one-third – are paid out for dog bite injuries. The most recent data from State Farm suggests that while the number of dog bite claims decreased on the whole about 7 percent from 2015 to 2016, the cost per claim increased by about 16 percent, up to more than $37,000. 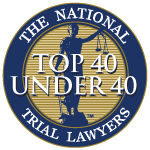 This case out of Connecticut resulted in considerably more damages, given the extent of plaintiff’s injuries.